Our product range includes a wide range of rasagiline tablets. 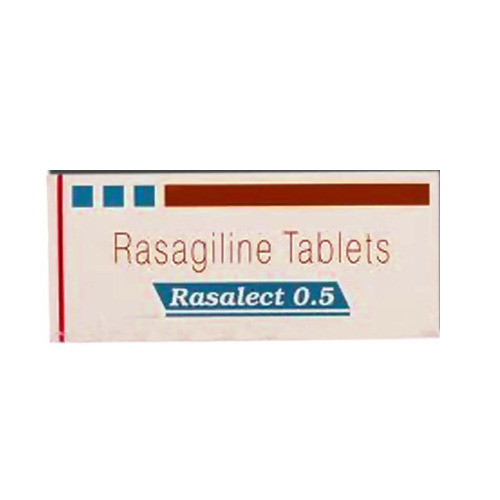 Rasalect 0.5 mg Tablet is used either alone or in combination with other medicines to treat the symptoms of Parkinson's disease such as shakiness, stiffness, difficulty with movements, etc. The recommended dose of this medicine should not be exceeded due to the increased risk of hypertension.